I’m an elected Council Rep for certified members and the current Chair of the IYW. 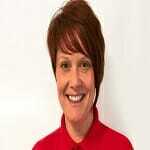 I have been a youth worker since 2002, specialising in detached and community development methodologies. I currently work as a Projects Manager for a community development charity in Brighton, UK. I am also an Associate Lecturer on the Youth Work degree course at the University of Brighton. Worked for Essex CC Youth Service for 15 years in various job roles from P/T youth support worker in training to F/T qualified senior youth worker. Experience includes managing open access youth centres, complementary and Alternative Education programmes, mobile & detached work. 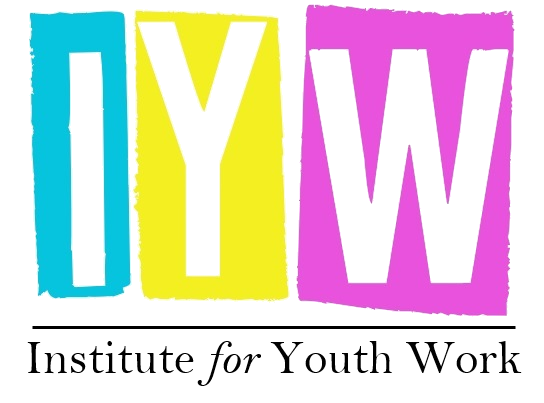 Current job role Is Senior Youth and Community Commissioner, leading a team of District and community YW commissioners who work in partnership with a range of organisations to develop new YW opportunities, train volunteers and commission Youth work programmes and initiatives. I am leading on training Young Commissioners & Young Inspectors across Essex, NCS wave leader, I manage 6 youth centres 2 mobile youth buses in South Essex and volunteer at a local voluntary run youth club in Castle Point. 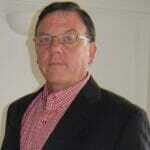 Hi i’m Mike Carroll-Owen, I’m your Website & Communications Lead here at the IYW. I’m an experienced youth and community worker of 12 years with specialist areas in CSE, Sexuality, Sexual Health & Substance Misuse. I’m one of your Elected Council Student Reps. I am the Chief Executive at Cambridge University Students’ Union, a student-led representative body and charity working to address inequality and disparity in students’ experiences at Cambridge, as well as supporting volunteers and representatives to foster peer-organising as levers for change. A key part of my work both past and present has involved behaviour-change campaigning and policy development at local and national levels. I recently completed an MSc at Cass Business School and have an ICSA Diploma in Charity Management. As an avid supporter of the voluntary sector as Treasurer of Cambridge’s CVS, and Exec Board member of a national education charity, and am a member of the Institutes of Fundraising, Chartered Secretaries & Administrators, and Public Relations. Coming from an East London/English Gypsy background, Brian entered youth work partly as an escape from the hooligan/gang life of the late 1960s/early 1970s docklands. While working in youth work-related situations around the world, including Israel, the Falkland Islands, the USA, Thailand, Hong Kong, Zambia, South Africa, China and Canada, Brian’s interest in identity and ethnicity flourished and today he is an internationally recognised authority on Gypsy Ethnicity, having written widely on that subject, delivering papers most recently in the USA, Greece, Sweden and Slovenia as well as around the UK. Brian has been developing a growing network of practitioners and academics concerned with the exploration of youth work and Islam. Brian gained a BSc at City University, an MA at the University of Essex and was awarded his doctorate by the University of Kent. Brian is visiting lecturer for the University of Malta. I’m a qualified youth worker and manager with 20 years experience in the field. I’ve worked in both the statutory and voluntary sector and experienced how youth work has changed to respond to Government and community needs. Most recently, this includes the focusing of funding towards Multi-Disciplinary Teams delivering Targeted Work, either with individuals, groups or families reflecting the Troubled Families initiative. Currently working for the Youth Work Unit Yorkshire and Humber, I have a good working knowledge of the Regions Youth Sector, and a variety of approaches being implemented by different areas to developing partnerships and co-production models between Statutory and Voluntary Sectors. I have experience of working in a multi-disciplinary team and the benefits and challenges this brings. 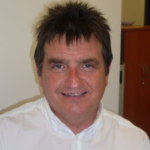 I am the Programmes Director with Youth Focus: North East I am responsible for managing and coordinating our range of delivery programmes, supporting both young people and youth professionals, we provide in the region. Since starting a career in Youth & Community Work in 1990 I have always strived to provide a high quality service which builds from the needs of young people and involves them as equal participants in the design, delivery and evaluation of the services they receive. An Honours Graduate in Informal & Community Education, through YMCA George Williams College. I have worked extensively both within the statutory and voluntary youth sectors constantly delivering a high quality service which includes centre based, outreach, detached and schools work. 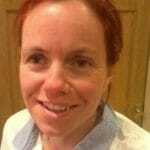 Vanessa Rogers is a qualified youth worker and teacher with an MA in Community Education and experience of managing local authority services for children and young people for over fifteen years before becoming an independent trainer, consultant and author. She is now a recognised expert in youth work, PSHE and social education and is regularly commissioned by statutory and voluntary organisations working with young people aged 11-19 (up to 25 with additional needs) across the UK to provide high-quality training and consultancy services. 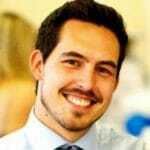 Andrew is a Youth Participation Officer specialising in youth democracy work with young people. 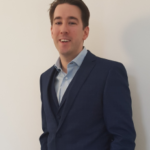 Based in the North East, Andrew has worked in a local authority youth service for over seven years and has also previously worked for detached and voluntary youth projects. Andrew’s experience of working with young people stretches beyond his experience at work, he also is an adult volunteer in the Army Cadet Force supporting young people in achieving through music. 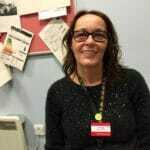 Esther Horner-Aird has many years of youth work experience, specialising in youth participation and accreditation and working with looked after young people and young offenders. Esther has worked in front line delivery for many years, progressing through her career into operational management and senior strategic management. Currently Esther is a Director for Kinetic Youth Ltd, a not for profit social enterprise that delivers youth services nationally within the Youth Justice Sector. Esther leads from the front and is a passionate youth worker who pledges to stand up for colleagues and young people in the present difficult time we all face. She looks forward to designing and developing the Institute for Youth Work alongside her fellow colleagues, aiming to help build an organisation that influences national policy and local agendas.